An example of an ielts speaking part 1 test. 1/ Which one would you like to choose for your final project? (1) giving a presentation (2) writing a paper (3) creating a video. I am one of the more modern students who would instantly say video. It is forecast by the internet gurus that 80% of information on the web will be in video form by the year 2020. It is a bit of a cliche but a picture tells a thousand words, imagine how many pictures you would find in a video. I Have dabbled in video production and I can verify from personal experience that there is a plethora of good software to help you make good quality videos. So I think that I would do my final project justice with videos more than with more conventional media or a personal presentation. I think a personal approach can work either for you or against you better keep it less personal. 2/ What would you suggest to somebody if he was planning to come to your country to study abroad? Give details and examples to support your response. I would advise him to think again as the level of education in my country is not very high. In fact I am learning English in order to study abroad myself so it would be slightly hypocritical to advise someone to do something that I myself am trying to avoid. The problem being is that until very recent times my country was a dictatorship and education was in the hands of the church. At present the accent in my country is on leisure and culture is not very present. If I was him I would look at another country to continue his education because it is good to have studied in at least two different cultures. I personally would like to go to Canada to study so I would advise him to do the same. 3/ Your friend wants to switch careers but doesn’t know what new career to choose. What advice would you give her and why? I would not know what to say, I could not possibly know what she was thinking so the only thing I could do is help her think. What I mean by that is to ask a series of general questions that in answering them she might be able to crystallise her thoughts. After all it is a big decision and so the first question might be, why doesn’t she like her present career, followed by what new career she has in mind. Then get her to realise the implications of such a change, for example, what training is required, how long would it take and how much would it cost. The latter question would make her realise the loss of income she may suffer during the transition period. So as a friend my role would be to help her think clearly by thinking out loud rather than giving advice which I am clearly not qualified to do. 4/ Your friend is studying engineering and has room for one extra course in her schedule. What type of course would you recommend she take and why? Engineering is a fairly broad subject so I would have to know what he is studying in order to judge which course would compliment it best. I would advise anyone to follow a course in how to use their mac or equivalent. There are so many features that exist and many of which can be very useful in the storing and interpretation of data. Look at word for instance and powerpoint. If you are good at using these you can store, interpret and present your work both in the academic or business world. Troubleshooting problems on your mac or P.C. is a very valuable skill so I would advise my friend to learn all they can about their computer as it is invaluable. 5/ Your friend has just begun looking at educational programs and is having a hard time narrowing down his choices. What advice would you give? I would advise her using three different criteria. Firstly what does she like studying and what has she studied so far. It would be illogical to suggest something from the arts if she had majored in sciences. Secondly I would ask her what she really enjoys doing as it is so much easier to assimilate information about a subject you are interested in. Thirdly I would enquire about her personal ambition and possible career path choice. Once she had established these three concepts she could then research all the various choices of educational programs on the Internet. If she were interested in doing something similar to myself I could advise her in a more specific manner. 6/ Your friend’s brother has begun spending time with a group of people that your friend thinks may not be very good people. He wants to talk to his brother but does not know what to say. What advice would you give him? This is not easy for several reasons, one is the old dictum that you are not your brothers keeper which means the fact that you are related to someone you are not responsible for their actions. However this presupposes that the damage is already done and that the brother has gone down the wrong path. Of course if there is a chance to help him avoid getting into bad company then he should do all he can. I would therefore advise him to take him under his wing and show him that life can be rich and enjoyable doing good things rather than bad. I think it would be good to talk to him before telling his parents about it. This kind of action usually has a negative outcome and pushes the brother away and into the arms of his not very good friends. 7/ Your friend is forgetful and often forget to submit assignments. What advice would you give to him? If I had a friend who was forgetful I would suggest that he used a piece of software to remind him. Before the computer age people used to use other reminders such as switching a ring on a finger or putting notes on the fridge door. There are so many apps that you can use on your P.C or smartphone that you can program reminders. A good example is before starting an assignment you can program an alarm to go off the day you are supposed to submit it. There are even complete organisers that will help you plan everything ahead like “Trello” for instance. This software imitates a notice board where you can pin up all pending tasks and organise your time accordingly. 8/ Your friend is struggling in a math course, and he does not understand the work any better after his meetings with the professor. What advice would you give him? He is probably not up to it and he should consider switching study options. Maths is pure logic some people get it and some don’t. Unfortunately it is not something you can acquire it is a way of thinking. If I were him there are many subjects that do not require that particular kind of mind and he should start to investigate other fields of academic study. A good option may be computer science which does not require the same kind of intelligence in order to get a degree. Even better a social science where there is a bigger margin of error for a lesser developed logic. Psychology springs to mind and can present him with varied career opportunities. Many people find their level and have to drop down a grade or change course, it is not the end of the world. A great way to practise your enunciation is to use tongue twisters. Check the meaning of the words then read the sentences out loud, initially, slowly, and then faster. This is one of the best exercises to practice the positioning of the tongue and teeth. This will help you speak English clearly. “But,” she said, “this butter’s bitter. Thanks Amy for helping with the tongue twisters! Thank You Matthew! That was fun and we only did 50 retakes! 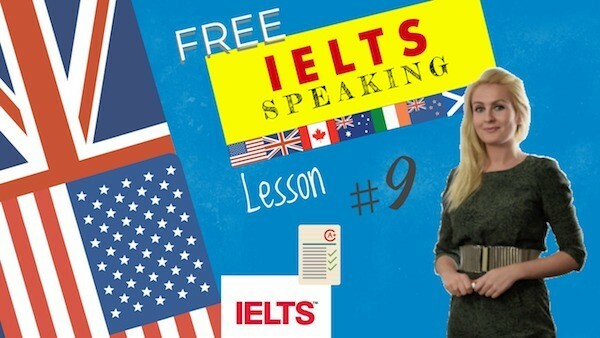 Introduction to the ielts speaking tips to help you succeed.